He was an Examiner for Trinity College, London (as it is now) from 1960 which took him abroad working in Canada, USA and the Caribbean. He regularly adjudicated at local and regional music festivals and competitions. His Compositions include various choral and instrumental works and arrangements. Some are still available. His specialist subject was music making among young people, choral, school music. He enjoyed driving, photography, and talking. Elizabeth arrived in Sheffield 18 years old, with a passion for singing and a love of archaeology, which she was reading at the University. Although music was not her degree subject she took her singing seriously. Her teacher strongly encouraged her to enter competitions to gain performing experience and she was delighted to find a flyer for the David Clover Competition of Singing which provided her with the opportunity to perform many times, singing different repertoire and, gain a wealth of experience. She is now a soprano of international renown, has sung for the English National Opera and is freelance singing all over the world. She has sung in such prestigious venues as The Royal Opera House Covent Garden, The Santa Fe Opera, the Royal Festival Hall, and Theatre de Champs-Elysees in Paris to name a few. She also won the prestigious BBC Cardiff Singer of the World Competition in 2007. She is proud to be sponsoring the Lied class at the DCFS as she hopes to inspire a new generation in the performance and love of wonderful music. We are equally proud that Elizabeth has kindly agreed to become one of the vice-presidents of the DCFS. 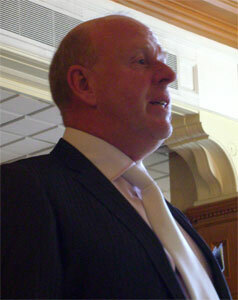 Ralph Green was born in Oldham and was educated at Chadderton Grammar School. He owes much of his earliest musical experience to Marian Barnett with whom he studied piano and organ at Macedonia URC in Failsworth, and to the Free Trade Hall in Manchester, where he regularly attended the Halle Concerts and sang from its platform in the choir at school speech days. He went to Sheffield in 1966 to train as a teacher of Music and Mathematics at the then City of Sheffield College of Education, and remained to pursue a career in teaching Music in secondary schools at CSE, GCE, GCSE and A- levels which lasted thirty seven years. His teaching experience extended into the public examination sector by becoming a Moderator for GCSE Music and he attained the ARCM Diploma in School Music Teaching in 1982. He retired in 2006. While still a student he started to conduct the College Operatic Society and became a member of Opera 14 (later to become part of The South Yorkshire Opera Company). 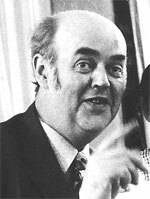 In 1972 Ralph was appointed Musical Director of the Southey Musical Theatre Company, continuing his penchant of music in the theatre. This was a position he held for twenty two years, and he has been SMTC’s President since 2002. His love of choral music resulted in his joining the City of Sheffield Teachers’ Choir as a singer in 1974, becoming its secretary in 1984 and its conductor in 1986; and in singing with the Sheffield Chorale since 1981. His membership of the Teachers’ Choir led to a huge commitment and involvement in the David Clover Festival of Singing which was established in 1979. In the earlier days of the Festival he adjudicated in the preliminary selection rounds of the recital classes and in 2016 he was a member of the adjudicating panel at the first Singers’ Platform element of the Festival. Also in 2016 he was honoured and privileged to be made a Vice-President of the Teachers’ Choir and the David Clover Festival after serving the Festival for over thirty years. Lesley is Britain’s best known soprano, regularly appearing in opera, music theatre, concert, on television and CD. For more than 30 years she has enjoyed one of the most successful and idiosyncratic careers of any modern-day, classically trained soprano, winning both critical acclaim and the affection of many fans and music lovers through the breadth and diversity of her work. Internationally Lesley has performed throughout Europe, the USA, Australia, Russia, Brazil, Japan, Malaysia, Taiwan and South Korea. Mark Wildman received his early formal musical education at The King’s School, Gloucester and as a chorister in Gloucester Cathedral where he studied and sang under Dr Herbert Sumsion. Later on, he studied at The Royal Academy of Music under the guidance of Henry Cummings, Rex Stephens and then with Rupert Bruce Lockhart. He was awarded the Westmorland Scholarship, the Recital Diploma and the Frederick Shinn Fellowship. His career began as a Choral Exhibitioner at St. George’s Chapel, Windsor Castle, where he sang for three years which was followed by a similar period with the BBC Singers with whom he travelled and performed world-wide. James Kirkwood was educated at Woodhouse Grammar School and was inspired to follow a musical career by his music teacher there, Muriel Gill. Two years in the R.A.F. (Suez Crisis) was followed by teacher training at Bretton Hall College of Music, Art and Drama and some years later at the Northern School of Music in Manchester where he gained a number of diplomas appertaining to various aspects of music education. By the time David Clover arrived in Sheffield James was head of music at Thornbridge Grammar School and it was from here that he was invited by David to be accompanist to the newly formed City of Sheffield Teachers' Choir. 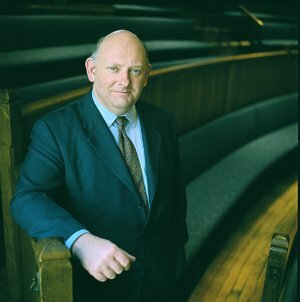 In fact it was from this point that David's influence and encouragement opened many doors for James; adjudicator for the British Federation of Music Festivals, examiner for Trinity College of Music, accompanist for the British Youth Choir, Melbourne Singers and Sheffield Youth Chorale (which he later conducted). It was during this time that, at the behest of BBC Radio Sheffield, James formed the 300 strong 'Feast of Brass and Voices' choir involving the Sheffield Teachers' choir and his newly formed Radio Sheffield Choir (later Sheffield Chorale). On David's death in January 1979 he took over the conductorship of Sheffield Teachers' Choir and with the support of Rupert Norris and the choir committee, set up 'The David Clover Festival of Singing' as a lasting tribute and memorial to this man who had done so much to direct James' future career as teacher, advisory teacher and finally adviser for music to the Sheffield L.E.A. - a post David Clover himself had held until his death. Richard was born in Kingston upon Hull in 1961. Educated at Silverdale Comprehensive School, Sheffield (Chorister, head-chorister and songman at Sheffield Cathedral). He received singing lessons from Vivien Pike before gaining a place at Trinity College of Music, London, studying singing with Eric Vietheer and Anna Berenska as well as piano with Valda Aveling OBE. Richard retired as full-time layclerk with Ely Cathedral Choir in July 2013 after 27 years loyal service joining the ranks of the deputy layclerks'. Over the years he has sung in many of the great Cathedrals and churches of England, Europe, Canada and the USA. He was Co-founder of the close harmony group 'shades of blue'. He has made numerous appearances on Radio and Television. Richard currently holds the position of Technical Manager at Ely Cathedral. He is also the Technical Manager for his recording company Lantern Productions. Apart from supporting the Festival in person when he can, Richard is responsible for running and maintaining the Festival website.